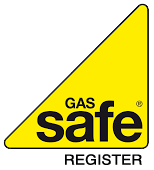 We install, service and maintain all oil-fired, gas-fired and LPG appliances. We also install under-floor heating systems and energy efficient control systems. OFTEC is the Oil Fired Technical Association. We have been OFTEC registered for more than 10 years. OFTEC represents the interests of homeowners and is licensed by the UK government to provide a 'competent persons scheme' for technicians who install and commission oil-fired heating equipment. Visit the OFTEC website here. Worcester Accredited Installers (WAIs) are accredited to install Worcester boilers, solar water heating, heat pumps and underfloor heating to the highest standard. Although these heating engineers are not directly employed by Worcester, Worcester are happy to promote their businesses to their customers. Why not get your Worcester boiler, solar water heating system or heat pump installed by an Accredited Installer? A fully trained, independent installer specialises in Worcester installations and can offer exclusive benefits to homeowners. No installation is the same and a professional heating engineer can provide you with advice and free quotes. Visit the Worcester website here.